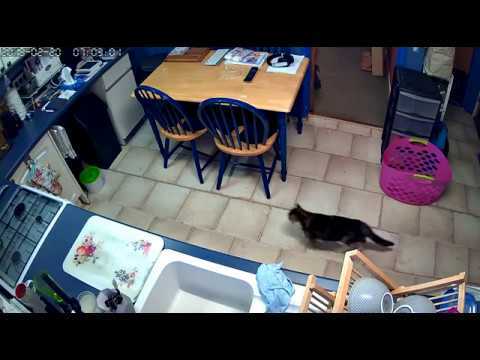 Help.....please watch this video captured by our pet cam. One of our 4 cats name of Marmalade has always had a problem when drinking water! for some reason, she can't seem to see the water so she paws at it and chucks water all over the floor! We have tried small, medium and large water bowls and with a ping pong ball in the water as well but it makes no difference, so we brought the cats a water fountain thinking the moving water would work but no. We are going to try with a ping pong ball in the water fountain but probably asking for trouble. Any help be great?